I can’t even begin to tell you how much I love this girl! And I will probably continue to say that with upcoming posts of her and Jamie, but it’s true! Esra is one of those people that just lights up a room when she walks in and her energy and smile is just contagious!! You can’t help but be in the best mood with a smile on your face!! And not to mention, she is absolutely STUNNING!!! Because Esra and Jamie were getting married in Cancun and we couldn’t exactly go there for her bridal portraits (although, that would have been awesome!) or find a place around Richmond that really had a tropical feel, Esra opted for something completely different with a unique location but also getting a little something with a Richmond feel! 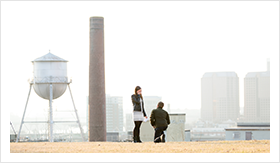 After searching around, Tredegar Iron Works and Libby Hill Park became the places of choice! 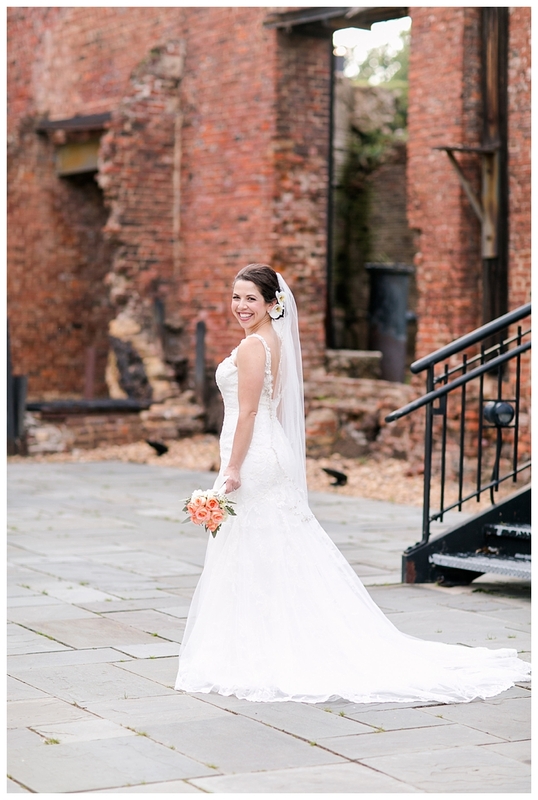 And let me tell you, I am so glad we decided on these locations because it was so much fun finding different places at Tredegar Iron Works and I had been wanting to get to Libby Hill Park for a session for so long now -so it worked out perfectly!! And the weather…we lucked out!! Gorgeous evening and beautiful light that came out just in time and in all the right places! What more could you ask for?? I had so much fun with this girl and we just laughed through the whole session!! 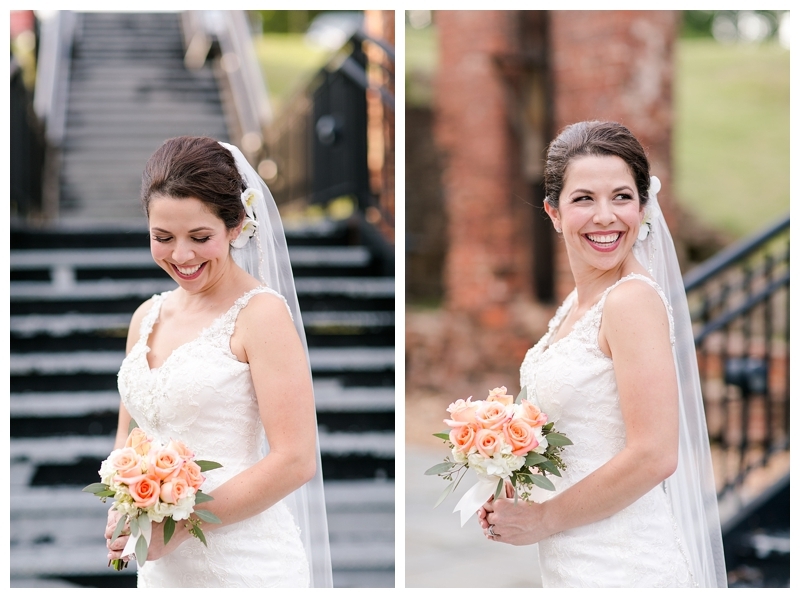 So, now that they are MARRIED, I can finally share the beautiful, Esra’s, bridal portraits!! And their Cancun wedding, is one to not miss!! :-) Love you, girl!! LOVE!!! 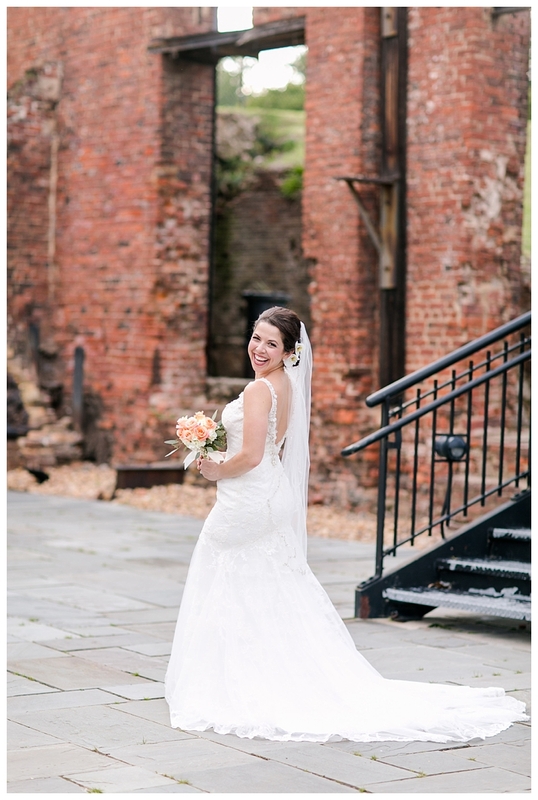 And this stone wall at Tredegar Iron Works, yes, please!! Monogrammed Jack Rogers!! So fun!! A definite fav!! Well, most of all of these are, so who am I kidding?? Pretty much obsessed with this one!! A definite fav for sure!! I don’t think we could have timed our timing more perfectly! Just in time for that gorgeous light! !